A genuine treasure can be found near the village of Canale which is Lake Tenno, famous for its spectacular colours that range from turquoise to emerald green depending on the season, the water level and weather conditions. The lake is suitable for swimming, with natural rocky beaches and is a wonderful setting for relaxing walks in any season. The lake was created long ago by a landslide and has no outlet. This causes significant variations in the water level and the continuing emergence and disappearance of a small island that lies towards the east bank. 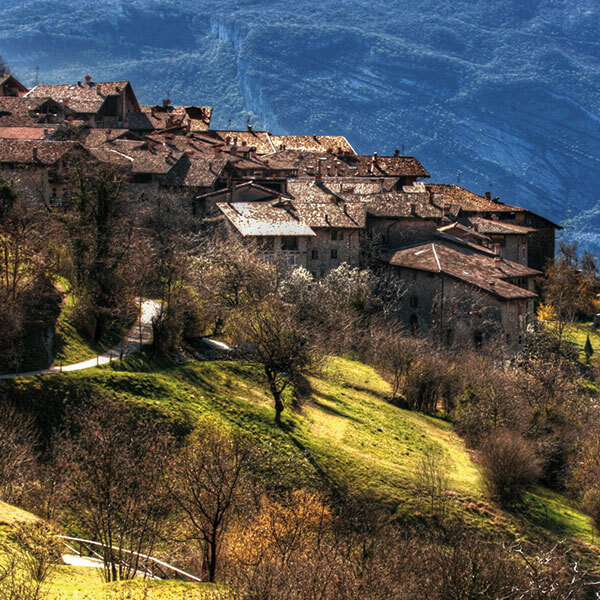 One of the most beautiful villages in Italy.